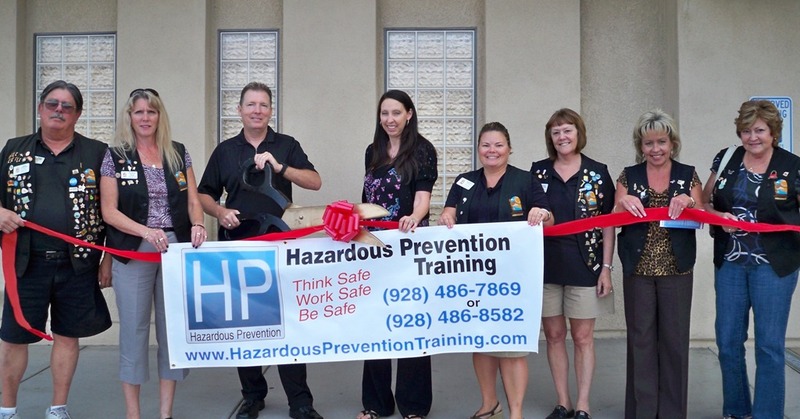 The Lake Havasu Area Chamber of Commerce Ambassadors held a ribbon cutting for Hazardous Prevention Training and Consulting. Dan Anderson, Safety Instructor and Consultant has been working in practice since 1995. Hazardous Prevention is a safety training and consulting company that prides itself on keeping companies, corporation, individuals and professionals safe while keeping up with compliance and the ever changing regulations that are confronted in the workplace. On hand for the ribbon cutting from left to right were: Mike Schuler, Audrey Hoyt, Dan Anderson, Kelly Anderson, Kristina Gallo, Kathie Schuler, Kathy Baumer, and Char Derrington.